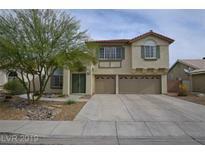 Below you can view all the homes for sale in the Orchards subdivision located in Las Vegas Nevada. 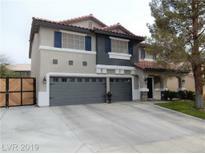 Listings in Orchards are updated daily from data we receive from the Las Vegas multiple listing service. To learn more about any of these homes or to receive custom notifications when a new property is listed for sale in Orchards, give us a call at 702-323-5986. Dining*gorgeous Tile & Wood Flrs*separate Fmly Rm W/Cozy Fireplace Open To Spacious Kitchen; Lots Of Cabinets/Isld/Garden Window/Eat-in Dining Area*dwnstrs Guest Bdrm/Step-in Shower*lndry Rm W/Sink/Cabinets*wide Staircase Takes You Upstairs To Bedrooms & Loft*mstr Bthrm; Sep. Shower & Sunken Tub/Dbl Sinks*fantastic Backyard; Ingrnd Pool/Spa & Cv Patio*water Softener Doesn'T Stay* MLS#2088760. Resolution Realty. Beautiful home with laminated wood through out, granite counters, stainless steel appliances, fire place, large covered patio for entertainment, close to schools and mountains MLS#2086555. Caza Realty. 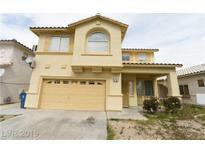 Great two story home features 4 bedrooms 2.5 baths spacious kitchen with tile countertops, island, and tile flooring. Spacious backyard with cover patio. MLS#2085489. Compass Realty & Management, L.
2 NEW A/C units (16 seer); RV parking; new exterior paint & custom interior paint; all appliances included; custom oak & cherry wood built ins; complete theater room upstairs w/ La-Z-Boy theater recliners; ceil fans; custom rock inlays; solar screens; blown insulation & sealed ducts; wood stair rails; custom baseboards; doggie door; original owners! The list goes on & on MLS#2084337. Home Quest Inc.
Beautiful 4 Bedroom 3 Bath Home , Full Bedroom/Bathroom Downstairs , Large Family/Dining Combo With Fireplace, Open Concept Kitchen With Island, Formal Living Room , Nice Size Loft On Second Floor, Beautiful Large Heated Pool/Spa Combo. Tile Flooring Downstairs. MLS#2084328. Century 21 Americana. Great Price! Come to take a look! MLS#2082422. Prominent Realty Group LLC. Don’t miss it, best quality for the price in the area!! ! MLS#2080781. Keller Williams Realty SW.
Upgraded features include fresh interior paint and new carpet in select rooms. MLS#2077234. Opendoor Brokerage LLC. Very Well Maintained Home By The Original Owner. A Must See! MLS#2077428. Rock Realty Group. Big backyard with lots of space to entertain. MLS#2077437. United Realty Group. Big back yard w/ shed! Welcome home! MLS#2076359. Precision Realty. Large Kitchen With Tile Counter Tops Tile Floors Throughout. MLS#2073937. Re/Max Titans. This is an absolute must see home with no HOA. MLS#2074350. Forever Home Realty. Amazing Two Story Home*better Than New With New Interior Paint And Stainless Steel Appliances *spacious Kitchen with Extra Cabinets Space*separate Formal Dining Area*five Bedrooms With Bedroom And Full Bath downstairs*pool Sized Lot*great Potential* MLS#2074576. King Realty Group. island in kitchen, cozy fireplace in family room, bedrooms have ceiling fans, blinds throughout, water softener, covered patio perfect for entertaining large backyard. 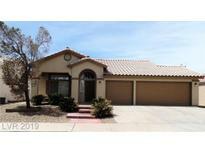 NO HOA - VERY MOTIVATED SELLER! ! MLS#2071057. Century 21 Gavish Real Estate. Low maintenance desert landscaping, covered patio, and solar screens round out this wonderful property. MLS#2065022. Coldwell Banker Premier. and much,much more! Priced to Sell! MLS#2062585. Wardley Real Estate. Minutes away from Hollywood Regional Park & Recreation Center. MLS#2052902. Realty ONE Group, Inc.
3 Beds, 2 Baths + Large Bonus Room Up* Kitchen W/ Nook & Island* Mstr Br W/ Walk In Closet, Bath W/ Duel Sinks, Vanity, Garden Tub & Shower* Large Bedrooms* New Carpet, Fresh Paint* Plumbed For Soft Water, Alarm, Intercom* Utility Rm W/ Sink & Cabs* Spacious Back Yard W/ Pond, Dog Run & Covered Patio* 3 Car Gar* Pos Rm 4 Rv/Boat Parking*no Hoa MLS#2014436. Realty ONE Group, Inc.